This week, I'm going to make a change of pace and comment on a topic that I have been starting to really think about. It has broadly to do with my alma mater; however, it specifically has to do with giving. I'm talking about charity in both the sense of giving one's time, as well as giving one's treasure to a cause. An issue I have wrestled with is how the two can be genuinely reconciled. Wabash College will soon be putting on its annual Day of Giving, which is a fundraising event that first started when I was a freshman. It is a single day where Wabash alumni, administrators and faculty have come together to raise a lot of money for the College's endowment. I mean a lot for how small Wabash is, and it has grown. In 2014, Wabash raised over $465,000 in was then a stunning campaign. In 2018, over 1,019,000 was raised. This year, I will be participating in an affinity challenge for my class, in which I and other classmates will contribute a set amount if enough 2017 graduates make a gift. It's an opportunity I have hoped would come about, and I'm happy to get involved as a young alumnus during an initiative that has come to mean a great deal to Wabash and those who support it, both internally and externally. While the Day of Giving has become a terrific initiative for the College, it's a potent reinforcement of just how important money is to alumni who might be able to afford to give a lot more than a few bucks. I hope that my Wabash connections who might read this will step back a little, and not share this just for its aggrandizement. I'm not here to diminish the importance of gifting, because the College as a whole would not function without the generosity of its alumni. It would also not be able to provide students with opportunities that they perhaps could only fathom. 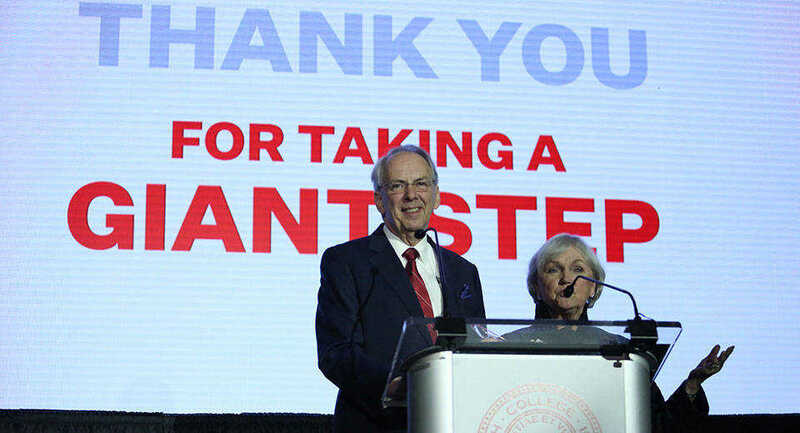 Some stand-out gifts made as part of Wabash's recently expanded Giant Steps Campaign will have a considerable impact on experiences such as study abroad programs. For me to suggest otherwise would not only make me a cynic, but also a hypocrite. That's because I myself have made regular gifts, and will continue to do so. Wabash still gives me something to believe in despite its shortcomings on different issues of student success, which I still have faith can be overcome. Everyone should have the gut-feeling at the end of it all that their contributions matter, no matter how small and outwardly insignificant in comparison they seem. I feel that being present is equally important, and perhaps should come first. I think this is especially important for recent alums like me who are still establishing themselves in the "real world," and thus will not have much money to give now. Being present can be as simple as attending sporting events, Glee Club concerts, lectures and theater productions. It is making the drive back to campus and keeping those connections, whether it's doing someone a favor or taking a friend or a professor out for coffee and chatting about what what's been going on. I try to apply the same kind of attitude as a reporter. I will still be that alumnus who will jump in the Volkswagen and make the drive, just so that I can shoot the bull with that student or professor, or go to a baseball or basketball game. They give me the enthusiasm to return as regularly as I have, and I hope that administrators and faculty reach out more in this respect. I believe that giving has to be about being there when it counts, and when it matters to you as much as it does to the cause. Nobody gives away $40 million without some benefit in return. Future naming rights on a campus building, perhaps? Great big tax write-off... most assuredly. Estate planning definitely fit into the calculations of this $40 million. So, yes Brand your contributions - in the way of being there and doing the little things as well as giving monetarily what you can - mean just as much, if not more, than big dollars and a legacy. A respectful hat-tip to you, sir, on this. Would you rather have someone provide you $40,000,000 or have conversation and give you a cup of coffee? An interesting dilemma if a person is TRULY honest in their answer.